If you read my blog regularly, you'll know I love the retro look. I grew up in the 80s and have fond memories of my childhood clothes - my Mum dressed my brother and I in hand me downs from my cousins who grew up in the 70s so when I think back to the clothes I love, many of them have that 70s vibe. Jools Oliver's Mothercare range, Little Bird, is just that - reminiscent of childhood clothing past. That's why it appeals so much to me. I made a few purchases for Felix from the range recently. Much of the current range has been reduced (hopefully because new stock will be released soon!) so I thought I'd share those today! What do you think? Cute or what! I'm particularly excited about Felix wearing the playsuit. I think it's going to be fantastic in the summer and autumn. Or all year round with tights and a long sleeved vest! I bought it in 12-18 months so it's a bit big just yet. 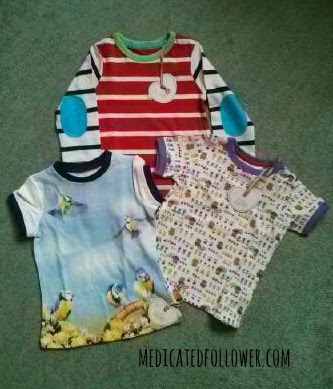 Have you grabbed any children's clothes bargains recently? If you want to join in with the linky, you probably know the drill. It's easy. Link up below. Don't forget to comment on this post and visit others who join in. Even if that does mean checking back a little later to see if others have joined. It's all about sharing the love! You can tweet me your link which I will retweet. The National Trust - when you read those words, what does it conjure up for you? For many, it might evoke long journeys, dusty old houses and cold picnics from the boot of your car. Those days are long gone, my friends! 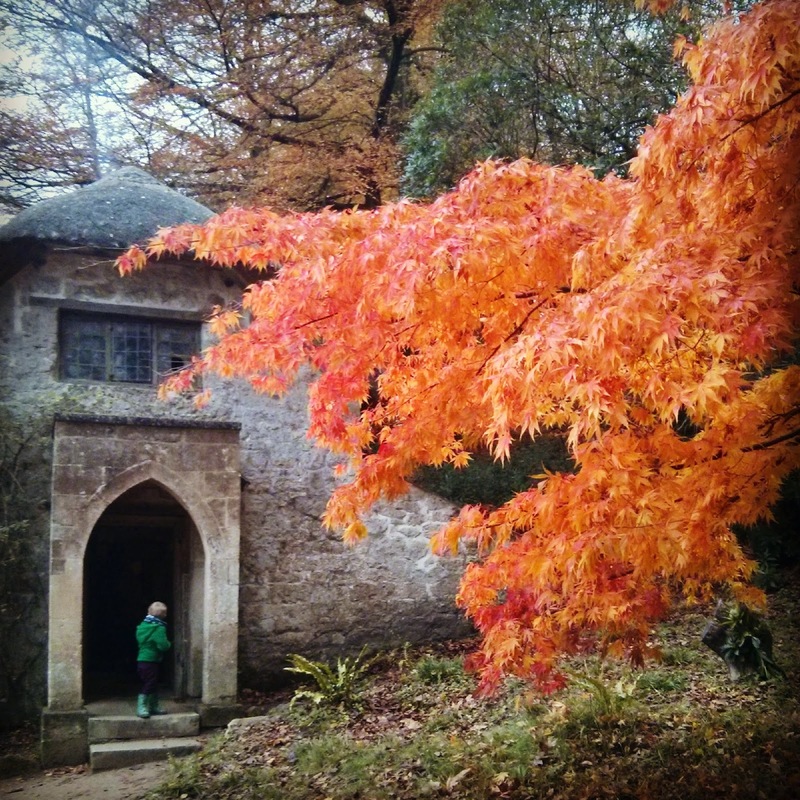 I have been visiting National Trust properties for my entire life. My parents have been members for around 30 years I believe. We regularly used to visit houses, usually on a Sunday. I was a funny little child with a bizarre interest in Tudor, Elizabethan and Victorian life so quite often I would find the houses interesting. My brother on the other hand, used to find the visits mind numbingly boring. As soon as Mum and Dad mentioned that we'd be visiting a National Trust property at the weekend he's start grumbling and moping. He used to moan throughout the journey there and have to be dragged around the house. I have to admit though, there were times I would feel bored as well. It wasn't just boredom that made these visits tricky. This is the UK and the weather isn't known for being predicable or all that warm for a lot of the year. Many houses had few facilities. We always used to take our own picnic and spend a shivering half an hour camped out beside our car. Apart from look around the house, there would be very little to do! Well - fast-forward to now, and haven't things changed! When we had Ethan, it took a while before we could get ourselves together enough to do anything like leaving the house before 2pm. There was no way we were going to go out for the day. As he got a little older though, this started changing.. and we wanted something to do, somewhere to go! For my husbands birthday one year, my parents bought us National Trust membership. At first, we weren't sure. 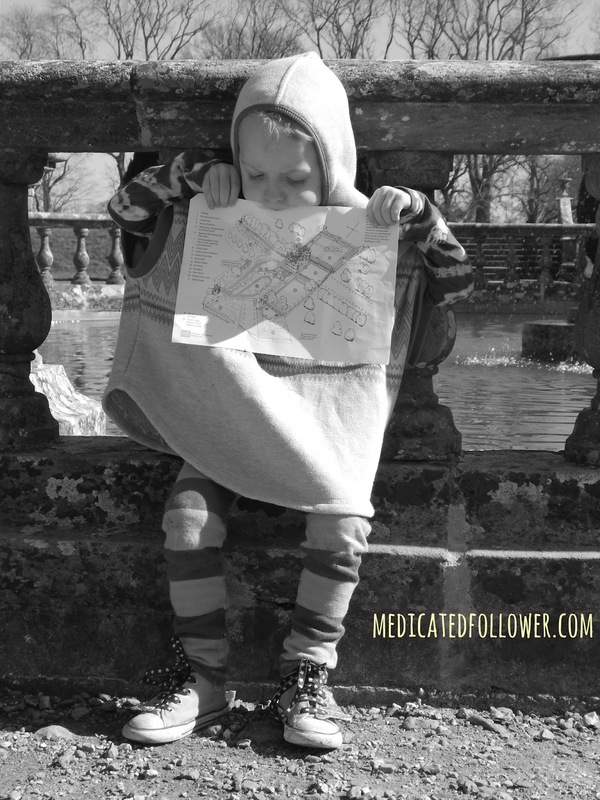 Pete hadn't been to many NT properties as a child and thought it might be boring. I remembered the NT as it was in my childhood and worried it might not be very child friendly. Still, the membership was a present and we gave it a go. 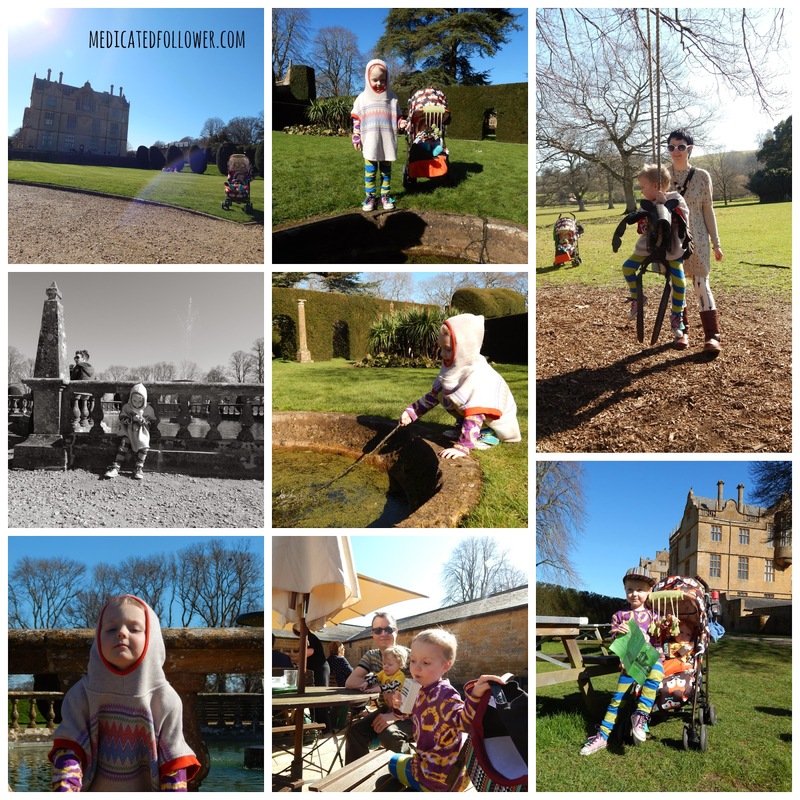 We visited Tyntesfield first. It's our second closest property after Clevedon Court and somewhere we'd wanted to visit after the NT saved it (I remember that well, I helped raise money to save it!). We were pleasantly surprised by how child friendly the whole set up was. Gone are the days of an old house with nothing to do. The NT have really switched themselves on to what families want now. They have realised that this isn't just something for the parents. They are making themselves interesting to the children as well. Which of course benefits the parents. Happy children, happy parents! Of course, all NT properties are different. That's where your handbook comes in handy. Some have a lot less in the way of facilities. That doesn't mean they aren't worth visiting, it just means a little more organisation on your part. It doesn't seem to matter where you go though, you are always greeted by a friendly face or 10. There is almost always a children's activity sheet or at the very least a free sticker (we all know how those work!). There are often seasonal activities like Easter Egg Hunts. These do have a small cost, but for a couple of quid, they are very worth it and you always get a prize. If we ever say to Ethan "Let's go to a National Trust house today!" he doesn't look sad and mope. He jumps up excitedly and asks us which one "Will it be Tyntesfield, or are we going to one with Peacocks? Can I have some cake in the cafe?". We recently visited Montecute House. I hadn't been since childhood and Pete had never been. We weren't quite sure what to expect but we were completely bowled over by the facilities. They have HANDS DOWN the BEST nappy changing facilities I have EVER used. I am not kidding. A dedicated room with two changing tables that include mats on them, toys and books for the babies, FREE NAPPIES, WIPES AND CREAM!! Two sinks with hand towels (no crying babies as you shock them with a bloody Dyson hand vac!) and two chairs for sitting on. I was hugely impressed. It wasn't just the changing facilities. We were greeted by a lovely lady at the entrance who really engaged with Ethan. She handed us an activity sheet and asked him to come back and see her at the end of our visit to tell her how he'd done. Which we did. She remembered him as well. It's the personal touch! The cafe was lovely. We had lunch as a treat which was very tasty and served incredibly promptly by a very friendly lady. There were plenty of high chairs as well so we didn't have to worry about that. We visited the house and were again pleased by how friendly the volunteers were. We were allowed to take our buggy in which was handy because Felix had fallen asleep in it (we had planned to take him in the baby carrier if he were awake). All in all, it was a truly lovely visit. The National Trust have recently announced their Top Ten places to spring spot after some research showed that there are benefits to listening to the sounds of spring such as birdsong and lambs, making us feel happy and optimistic (I'd agree with this!). To celebrate the start of spring last week, the NT commissioned beatboxer Jason Singh to create an album featuring the sounds of spring - I love this idea! I know Ethan would love it, he likes to try to beatbox himself!! Now, I expect you would like to know which places made the top ten! Hopefully that list will inspire you to get out and about this spring. I truly thank the NT for being around. For saving all these beautiful houses and their grounds, helping us and our children to be interested in history, nature and our surroundings. A day spent at a NT property is a truly fulfilling one. 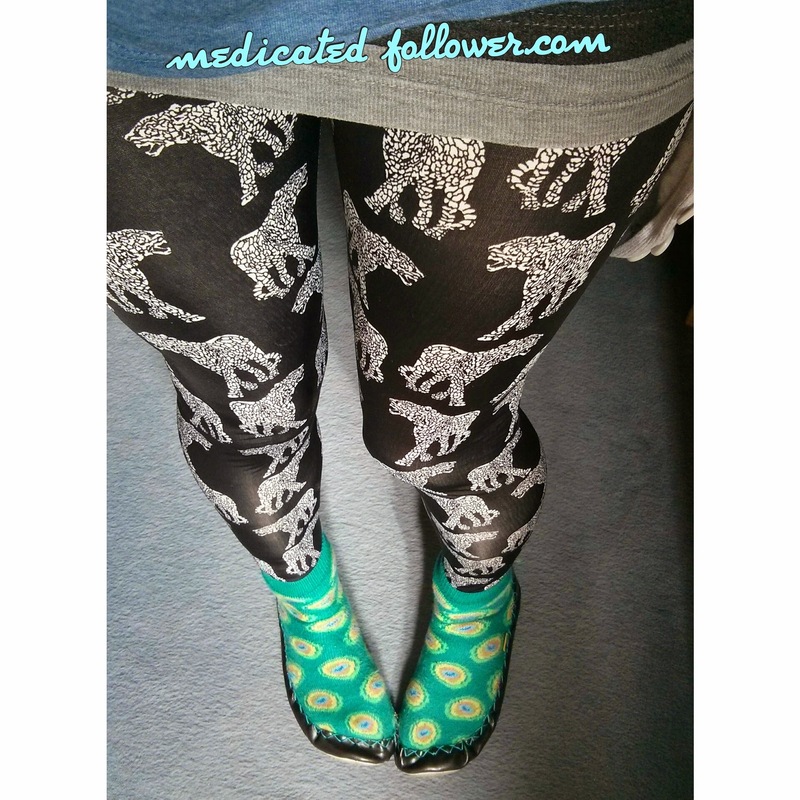 I'm not sure when it started, but I have fallen for leggings in a big way and my collection is growing all the time. They are so comfy. You can wear them with a T-shirt, a dress, a skirt. They are just the perfect mum outfit solution! The top pair are H&M. I spotted them in a catalogue a few months ago but decided to buy a zigzag pair instead. I adore my zigzag pair, they fit really well, so when I spotted these for 99p on eBay I decided to take a punt. As you can see, they are now mine! Bargain! The bottom pair are one of my favourite brands, Salt City Emporium. I'm always harping on about them, but I think their prints are some of the coolest out there. I picked these babies up in their sale and less than a week later they arrived through my front door. I love buying something like these - you can bet no one else in Clevedon will be rocking these babies! 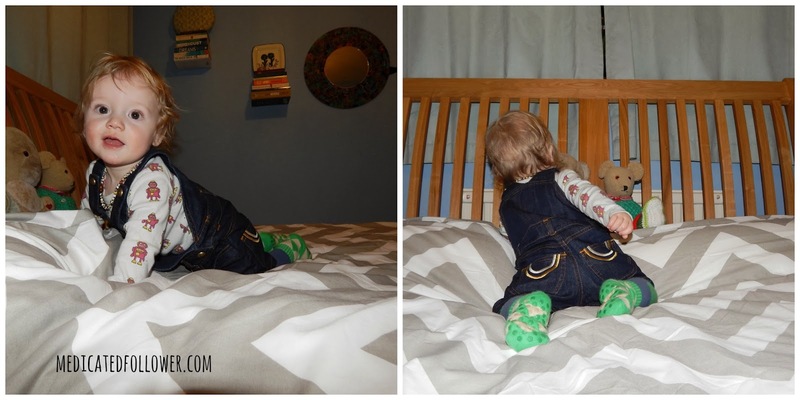 I'm linking up today for #RealMomStyle. Friday Feature - Monkey & Mole Moccasins - get 20% off! I am really happy to introduce an exciting new brand to you for today's Friday Feature. 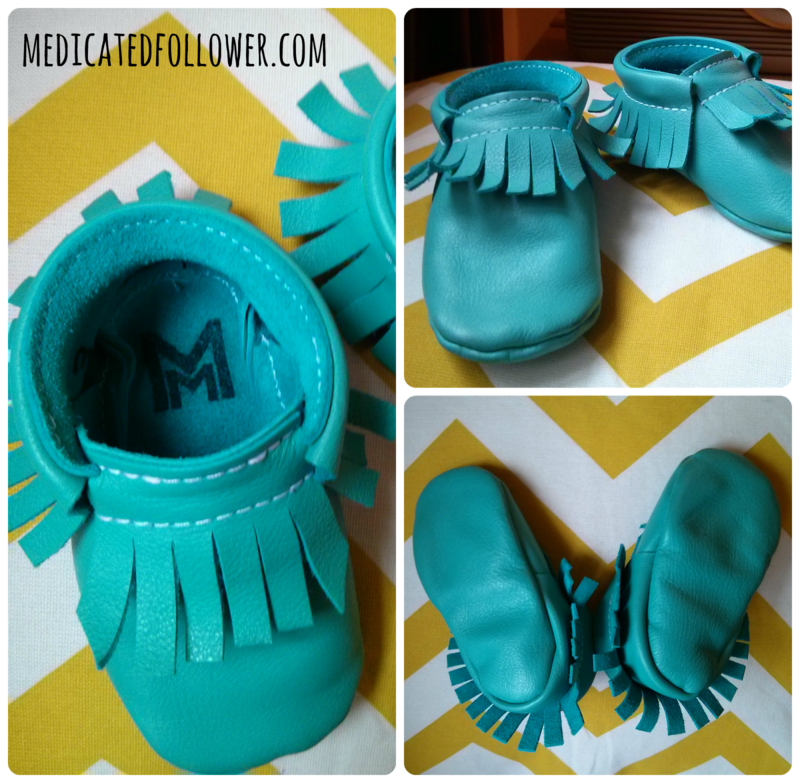 For a long time now I have been a fan of moccasins on babies and toddlers. Like many people, I've lusted after Freshly Picked moccs but have been put off by prices and the risk of import taxes (Freshly Picked are an American brand). I've scoured Instagram, Pinterest and Etsy for something similar and based closer to home but until last week, I hadn't found anything..
And then it happened.. on Instagram I stumbled across Monkey & Mole. I couldn't believe my eyes, here were some moccs that looked just as amazing if not MORE amazing than Freshly Picked. Better still, they were UK based. No import taxes!! I knew it was only a matter of weeks (days.. hours.. minutes!) until I'd place an order. I couldn't stop thinking about them. 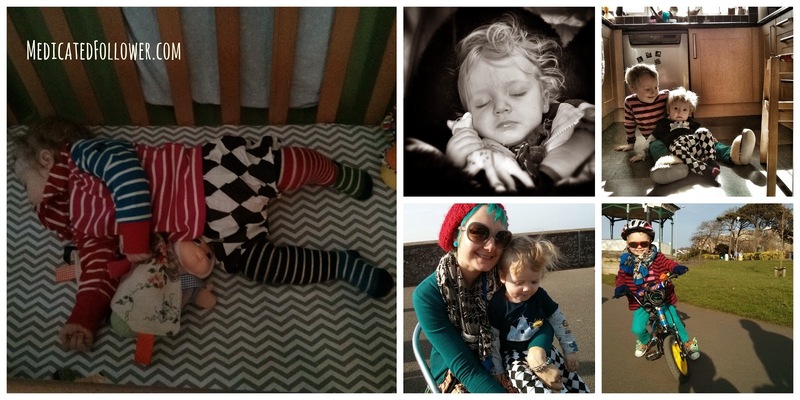 Monkey & Mole is the brainchild of work at home Mum Chrissy. Her little monkey wasn't keen on wearing socks or shoes leaving Chrissy in a bit of a quandary. 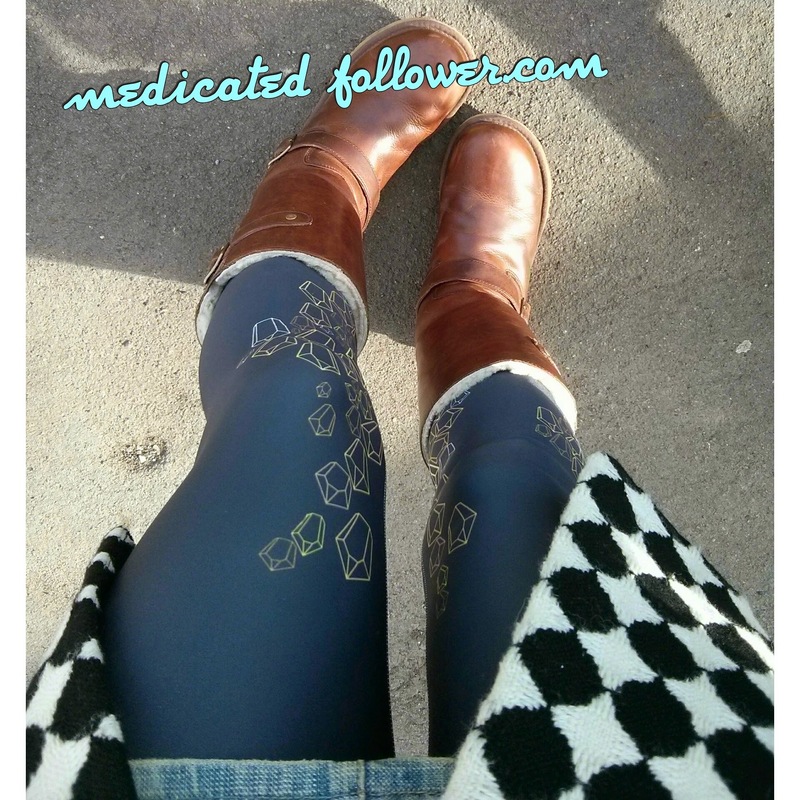 Like me, she had fallen for American brands of moccs but was struggling to find any in the UK. So, she decided to design and make her own and she has done a fantastic job I have to say! 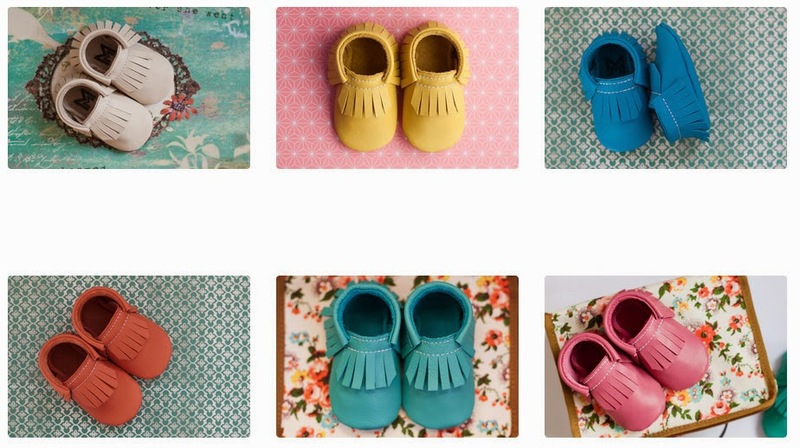 Chrissy currently offers her moccasins in a variety of colours; cream, yellow, blue, coral, green and pink. She also makes a rather amazing range of moccasin sandals. Something I've not seen anywhere before (I'll be ordering a pair for summer!). These are available only in green at the moment. Chrissy makes all of the moccasins herself and most are made to order although she does have a "ready made" tab on her website. At the moment she has a pair of coral moccs and yellow moccs ready to ship. Most orders take 7-10 days to complete. The moccasins are made from 100% leather in UK baby/toddler sizes 0-10. I plumped for a green pair in size 4 for Felix. I placed the order late on the 6th of March and received them early on the 12th, less than a week later and only 3 business days later! I couldn't have been more impressed. As I follow Monkey & Mole on Twitter and Instagram, I knew that they were on the way because Chrissy posted a photo tagging me! It only added to the anticipation! They arrived beautifully packaged in a stylish cardboard box and wrapped in some gorgeous tissue paper. You could really see the care that had gone into making and packing them. It was obvious straight way what fantastic quality the moccs are. The leather is butter soft to touch but firm at the same time. Previous pairs of moccs I've bought for Felix have been cheaper but the quality has been nowhere near as good. Chrissy states on her website that the moccs are designed to stay on and I can confirm they really truly do. Felix has been wearing them every day since they arrived and they have not made it off his feet once. This has never happened with any of his shoes before. Even his Moccis have come off from time to time. The moccs are receiving compliments left, right and centre. Everyone adores them! Felix is as happy as Larry wearing them. 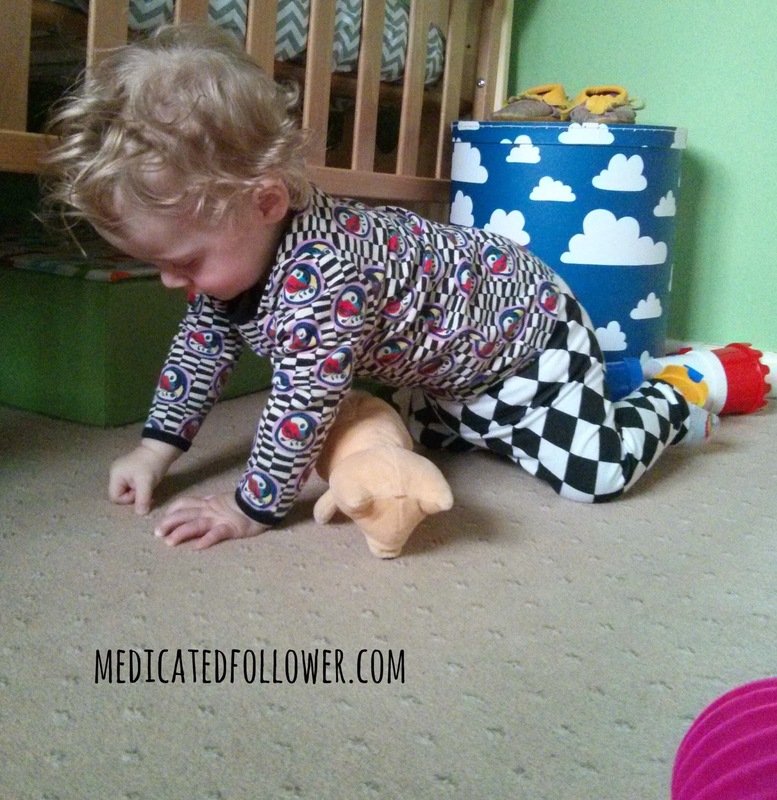 He doesn't try to take them off, just happily goes about his day crawling and trying to walk. I think they are helping him with the walking and standing because they grip quite naturally to the floor. Felix's moccs fit him very well. I chose size 4 based on the size of his other shoes. They have a little growing room in them which is fantastic. Chrissy offers a very helpful size guide on her site. I have something very exciting to tell you now - Chrissy has very kindly offered my readers and followers a 20% off discount code. For a very short time, between now and Tuesday pm (18th March) you can get 20% off your order of moccasins (not sandals I'm afraid) by using the code Spring20 at checkout. Monkey and Mole moccasins are £35.00 and postage is £4.95. Free delivery is available on UK orders over £50. Whilst these are not a cheap purchase, I fully believe you get what you pay for. Having paid around £25 for shoes that look similar, I can promise you, these are far better quality. Other shoes I've bought Felix have looked worn within hours. His still look brand new despite him crawling around in them for 4 days. I know they are going to continue to look great for a long time yet. Can you believe it? Thursday has rolled around again! You must know what that means by now! Trendy Thursday - time to show off what the smaller members of our families have been wearing! Geometric patterns are so in at the moment, whether it's in clothing or homewear. They really appeal to me, especially when mixed with classic stripes! 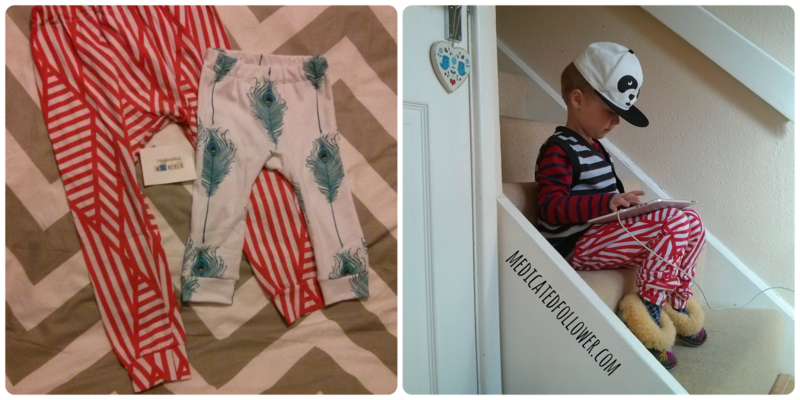 This weekend just gone, Ethan has been wearing his new Handmade is Haute harem pants. He really put them through their paces when we went to the park. He was rolling around in the mud like a loon. A good scrub with Fairy soap and a session in the washing machine and they are as good as new, thankfully! Felix has been wearing his harliquen esque H&M leggings and Beau Loves shorts over the weekend. On Sunday he wore the shorts along with a heap of Polarn O Pyret. Personally, I thought the overall look rocked! Well, that's what my little trend setters have been wearing - over to you! 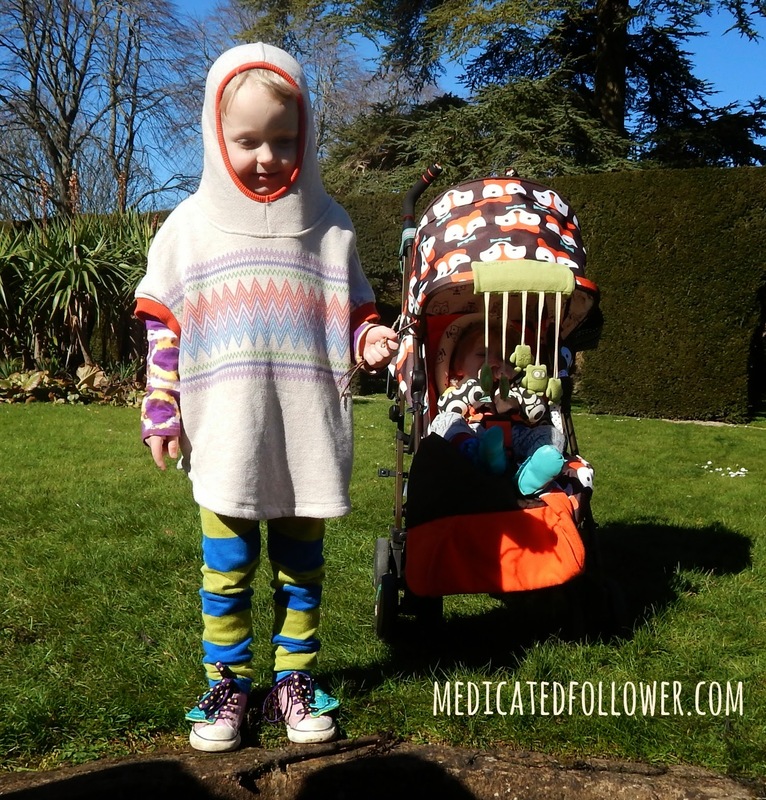 Please share your children's fashion blog posts using the linky below. Don't forget to comment here and to visit others who join in. It's really important to share the love! I am really in love with my Lotta From Stockholm clogs. I bought them last summer, but didn't feel confident enough to wear them very much. However, in the last few weeks, whenever the sun has popped out, I've decided to wear my clogs and they are quickly becoming my "Happy Shoes". I think what has most surprised me about these clogs is how comfortable they actually are. They are slightly differerent to walk in due to being made from wood - obviously they don't flex when you walk. So, you do have to walk in a more "clompy" fashion.. but it isn't hard to do, and honestly, they are some of the most comfortable shoes I own! I wore them all day on Saturday. We walked from our house to the seafront and back again - a good 45 minute walk each way and a lot of standing up in between. My feet were fine. No rubbed toes, no achy legs. I wore them again yesterday, walking around Bristol. Again, no pain afterwards. They are now my favourite choice for the school run as long as the weather is dry. They lift my spirits and make me feel less drab. I certainly don't feel like a slummy Mummy in them! If you've ever considered a pair but been worried about how wearable and comfortable they'd be, I'd say don't worry, go for it. You can wear them all year round - it's not that warm at the moment so I'm wearing them with tights. Personally, I think they look best when worn with tights for an even bolder look! Linking up for Real Mom Style and What I Wore Wednesday. I'm not sure what it is exactly, but I really love children in knitwear. I love it even more if it's been handmade especially for them, by a family member, or friend. My Mum has recently got back into knitting. I'm not sure why. It could be because it's something she can do when sitting down. Mum was diagnosed with MS 10 years ago this year and had to give up work before she'd have wanted to. She's always kept herself busy since having to retire, but in the last couple of years, her health has been more effected than before. She struggles with being very tired so has had to take things a little more slowly. I think that's where the knitting comes in - that's her relaxing!! Anyway, the upshot is that I have a new jumper, Felix has a new v-neck and Ethan has one currently being made. I am so happy!! Felix has been rocking his new cosy number this week. Mum chose the wool with my love of bright colours in mind, as I'm sure you can tell! What do you think? Do you love knitwear as well? Do you knit? I'm trying to learn to crochet, but I don't find it comes easily.. I want to share a photo of Felix today - check out his crazy bead hair! Also, he's wearing some H&M leggings I've been wanting him to grow in to for ages. Love them! 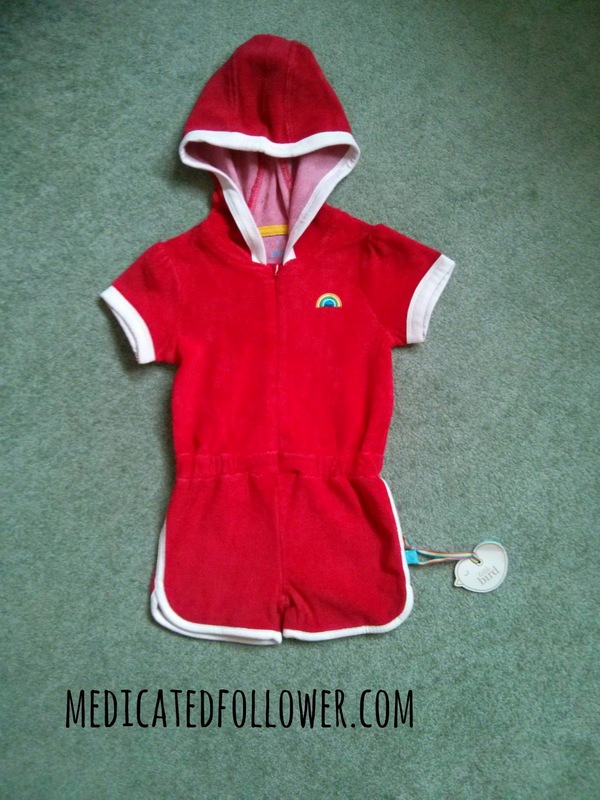 If you have any children's fashion posts you'd like to share, please link up below. Don't forget to link back to me in your blog post and/or display the badge (available off to the right). Please comment here and visit others who join in! Changing the subject, if you would like 15% off at Grubbies and Little Titans, I have a code - use GRUBBYTITANS15 at the checkout! To find out more, please see my previous blog post! 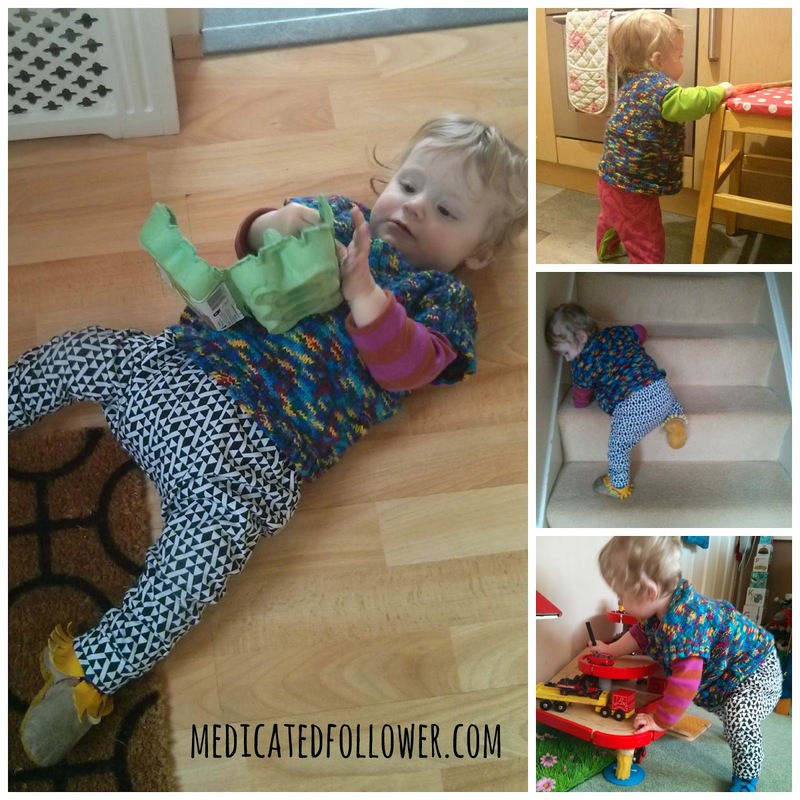 Grubbies Dungarees & Little Titans tights - the perfect combination! Get 15% off! I'm very fond of dungarees. For me, they are intrinsic with childhood. I remember adoring my dungarees and pinafore dresses as a child. Now, as a parent, I love to have similar clothes to put my boys in! 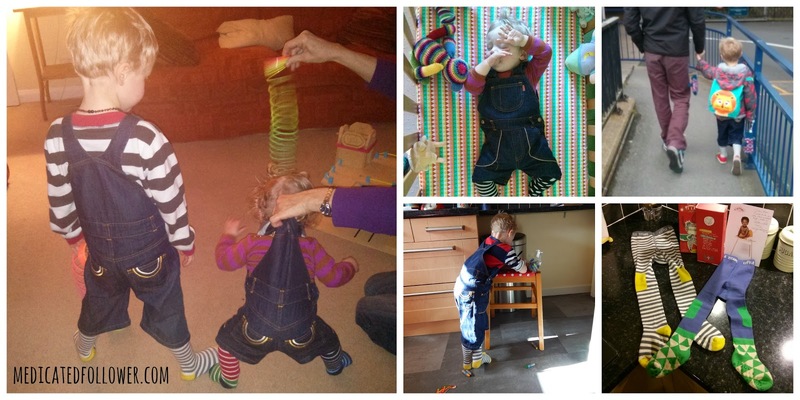 It's hard to pinpoint exactly what it is about dungarees, but they just seem to be happy-making. I don't know whether it's because they are comfortable and lend themselves to play. Whilst they are a little more tricky to deal with when it comes to nappy changes and visits to the loo, it's nice (for child and parent!) not to be pulling up baggy trousers all day, or have a constant builders bum when playing on the floor. You are spared these joys with dungarees! We were very kindly sent a pair of Grubbies dungarees for the both boys and a pair of Little Titans tights to wear with them. Why tights? 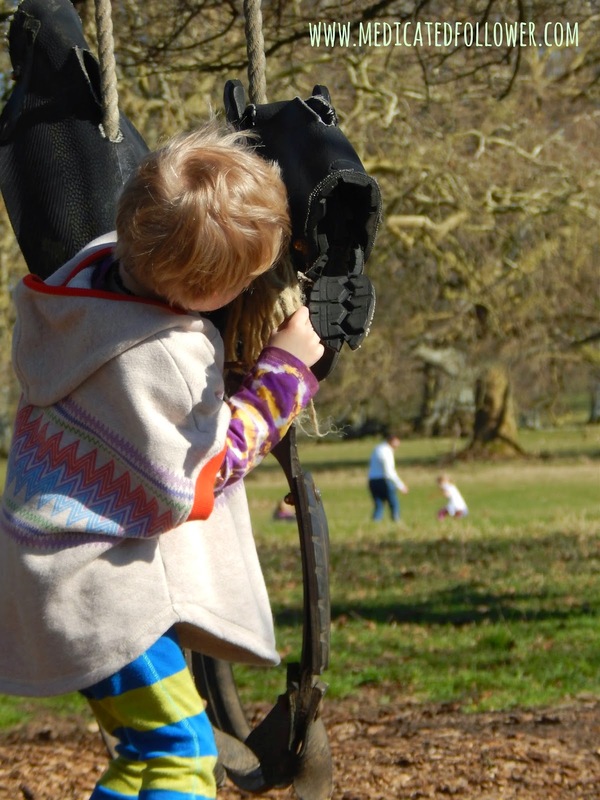 Well, if you read my blog often, you'll know I'm more than happy to put my boys in tights. Why? Well, they are warm, comfy and fun to look at! The Grubbies we were sent are called "Riders" which are a knee/calf length cut so tights are the perfect combination with them in the Winter/Spring months. That's the idea really - getting more wear out of your clothes! Perfect for the Summer months, paddling in the sea, running in the sand. 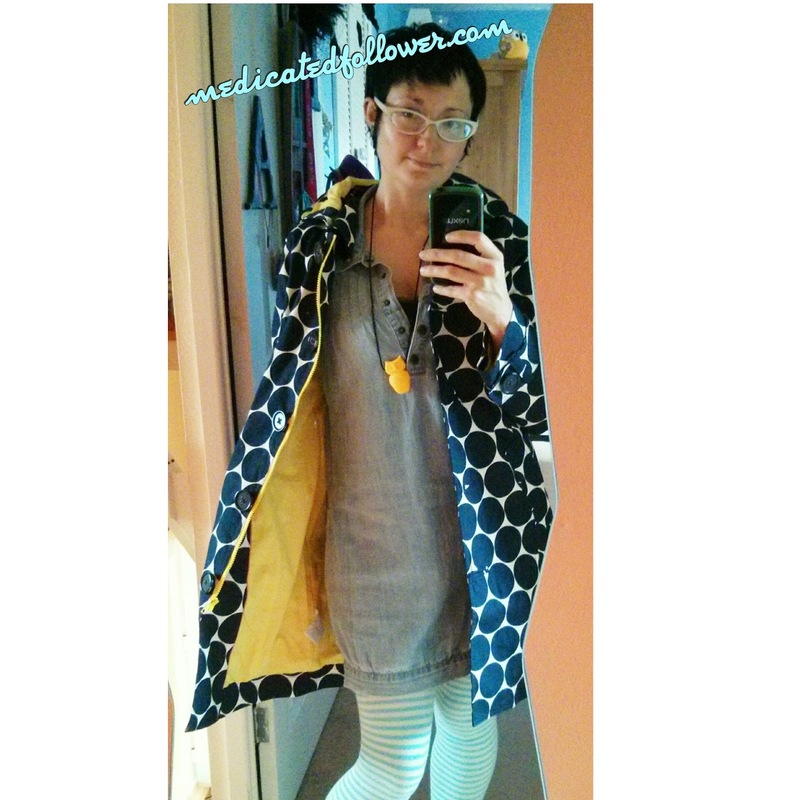 Great for the Winter with cosy tights and wellies, puddle splashing!! What do we think of them? Well, Ethan LOVES his. So much so, it's all he wants to wear at the weekends now. Twice he has now asked me "Can I wear the exact same thing tomorrow? I want to wear my dungarees again!". He has NEVER asked me this before. So, when I say he loves them, I REALLY mean it. I asked him why. He told me they are fun, he likes walking around with his hands inside them (??!!) and that they are cosy. So, there you have it! Big thumbs up from the 4 year old. What about Felix? Well, he's only 9 months old, so he can't really vocalise his feelings on the matter, but he certainly hasn't kicked up a fuss at being put in them. They are holding up well to his constant crawling. They are soft and not restrictive which is great. They also look as cute as can be! They don't have poppers for nappy changes, but all in all, it's not too much hassle. The tights. Well, I always knew I was going to love these. I really do though. They just look SO cool. Especially Felix's ones. Love the way they look like they have little socks on! Also, Ethan loves that they both have a similar pair. The knee patches are a cool and practical idea. I have to say the tights really are fantastic quality. They are warm and thick but especially so around the feet. They also have rubber grips on the feet to prevent slipping which is very helpful with a 9 month old who stands up all the time and is learning to walk. We really are in love with these brands! 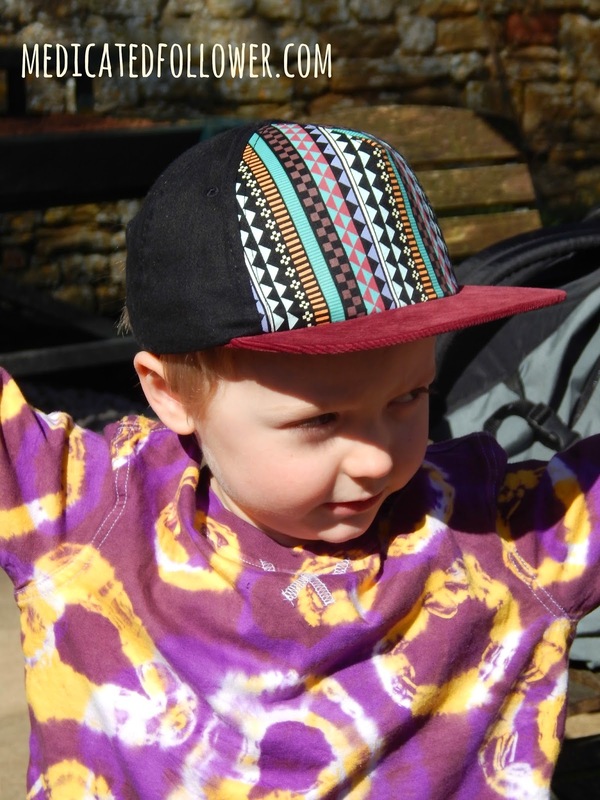 Grubbies Riders retail at £38 and are available in sizes from 6 months to 4 years. You can keep up to date with the latest from them by following their twitter account @GrubbiesUK and visit their Facebook page. Little Titans tights retail at £15.99 and are available in sizes 0-1 years, 1-2 years and 2-3 years (though 2-3 years fit Ethan who is 5 this year and 101 cm tall). You can tweet them @LittleTitans and like their Facebook page here. Most importantly, you can get 15% off both brands at the moment by using the code GRUBBYTITANS15. The same code works on both sites. Ahhhhhhhhhhhhhhhh! Breath deep! Breath it in! Can you smell it? Nooooo! Don't be disgusting! I know I have three males in my house, but NO! I'm talking about Spring. Can you smell it in the air? It may be only March, but "officially" it's Spring and today it really feels like it. The clouds have blown away, the sky is blue and the sun is out. It's not warm. Of course not. But, I can feel the sunshine on my face, smell the sweetness that comes with Spring just around the corner. Hurrah! To celebrate, my Lotta From Stockholm clogs have been on my feet for the school run. I adore these shoes. For me, these are heels. I don't really do heels. Despite being short, I just prefer flats or small heels. I like to be able to walk and stay comfy. That's what's so good about these shoes though. They are surprisingly comfortable. I say surprisingly because, well, clogs always look quite heavy and clompy. You won't believe me until you try some though! 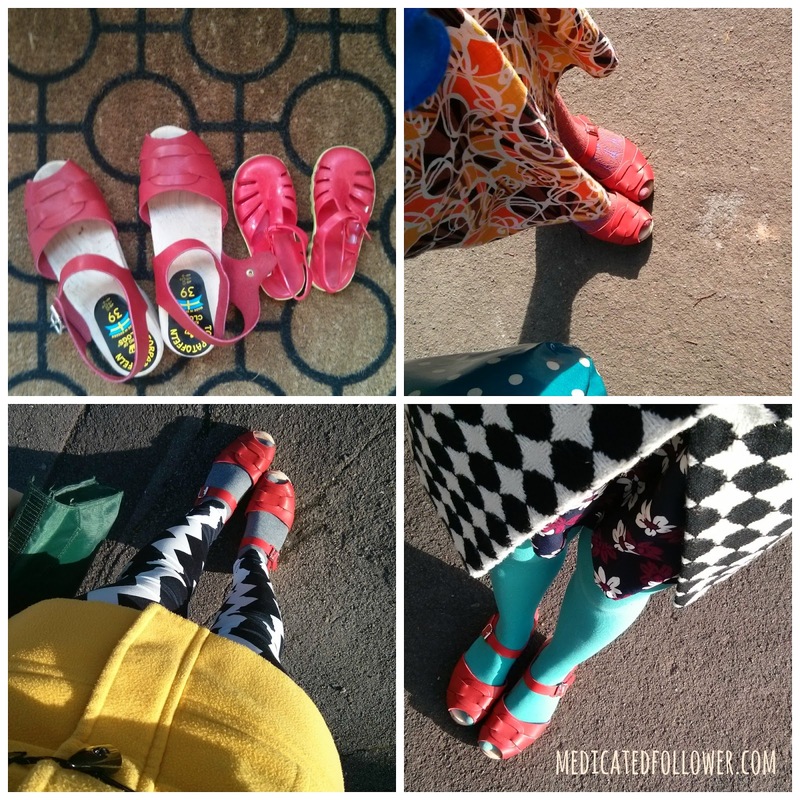 Something I really love about these clogs is how good they look with brightly coloured tights. Something which is great for someone like me who has more pairs of tights than there are raisins in a Sunmaid multipack! I think coloured tights really make them pop. 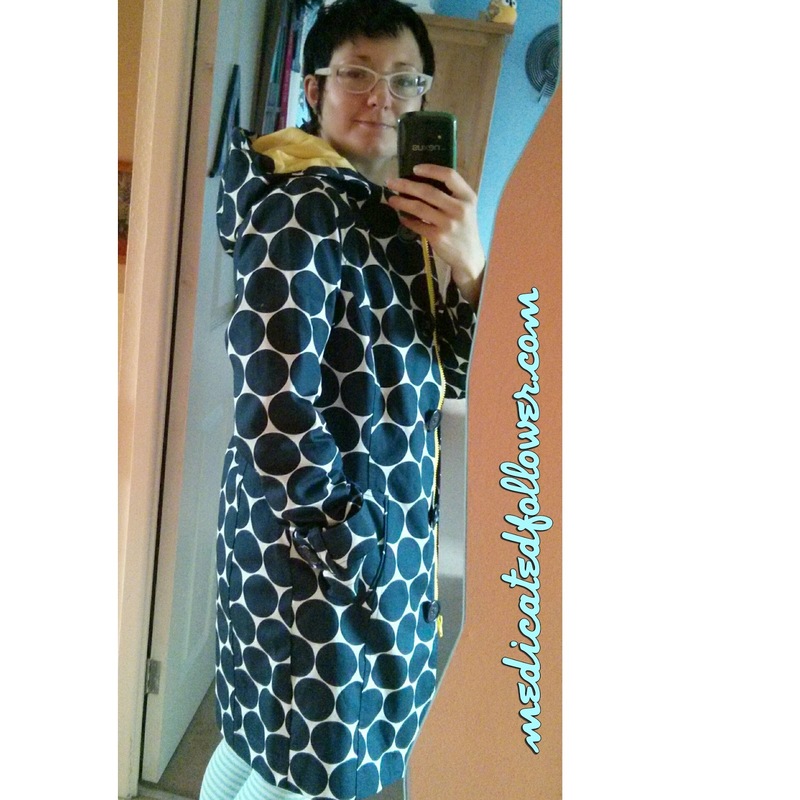 I've also been rocking my new coat from (shhhh) Tesco! This coat looks waaaaaaaaaay more pricey than it was. Half price in their sale at £25 but with some clubcard vouchers, it cost me less than £10!! Total bargain. I love how it looks - it's very striking. I wish it had pockets though. 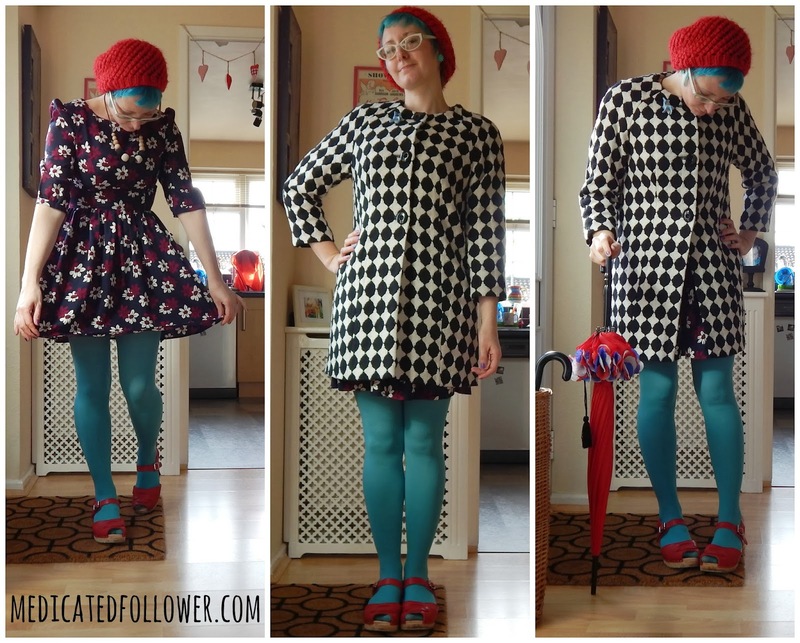 I do love some bold colours and patterns! I'm linking up this post with Thrifty & Chic Mom for the Real Mom Style linky and Transatlantic Blonde for WIWW.